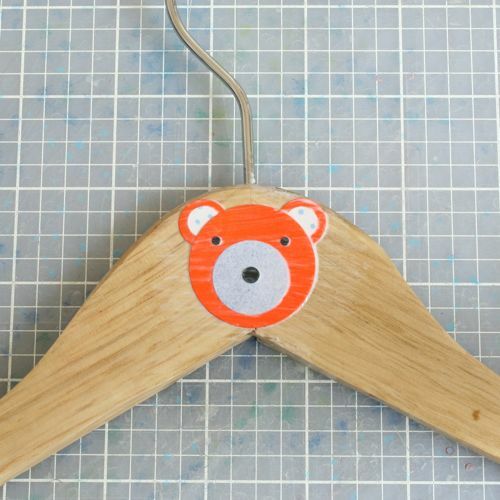 Next up, I’m decoupaging wooden hangers. Which is a LOT easier than doing a piece of furniture. 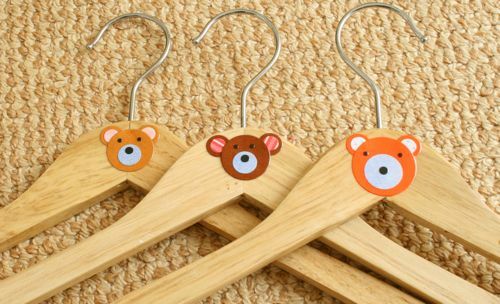 I bought some wooden hangers on the cheap at Ikea. They weren’t the most well-constructed; the seam in the center of the hanger was a little cattywampus, but I figured they’d do. Cute, huh? 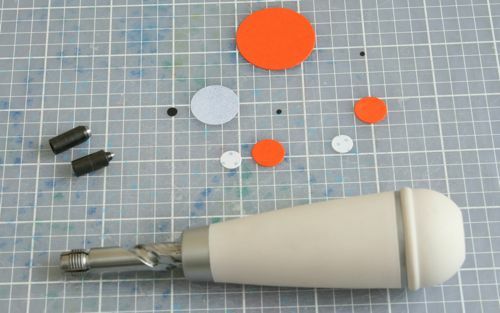 And then you decoupage them onto a hanger. Now, I’m pretty sure I found an errata for this project in the Encyclopedia. The directions tell you to decoupage, “gluing down the head first, then layering the ears, mouth, eyes, and nose over the head.” Now, you’ll notice that the design (and I copied exactly what they had in the book) requires that the ears sit behind the head. So if you glue down the head first, then you can’t get the ears in behind. So really, it should be ears first, then head, then mouth, eyes, and nose. I love them. 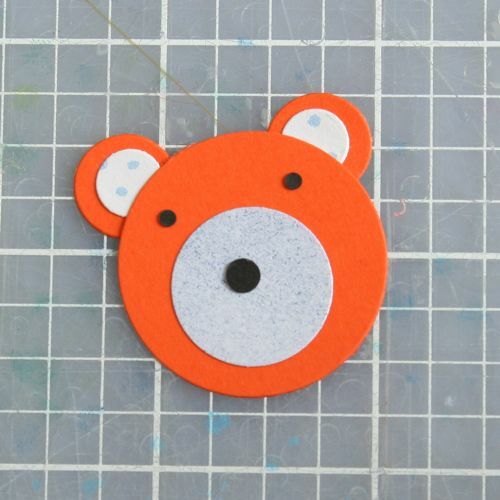 I think they are really sweet, and they are very easy to make. You’ll see I played around a bit with size and ear placement, which you can easily do before you decoupage so that they are all consistent. Yes! This would make a great baby gift, and you could do five just as easily as three since a five pack seems pretty standard. You could even use a motif that matches the baby’s nursery. It’s a great project. June 2, 2011, 6:57 pm Chris W.
One was too big; one was too small. Mine was just right.